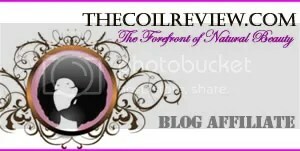 Meet Khane Kutzwell | NaturalReview|Natural Hair. Natural Living. 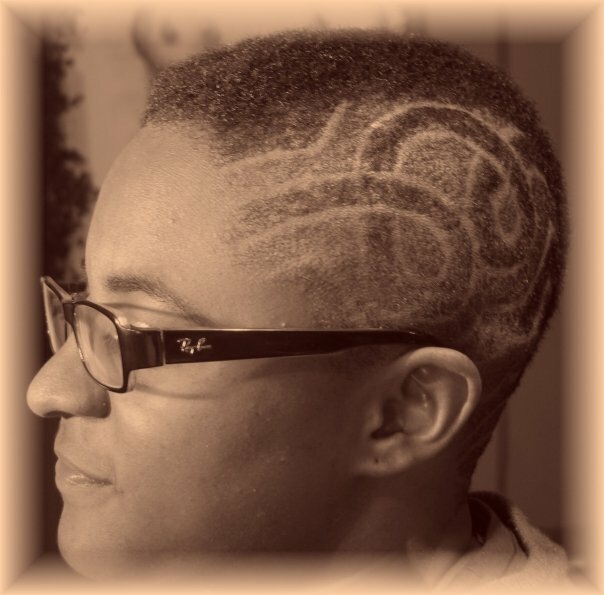 For all of you who are bored with your hairstyle and would like something more adventurous, meet Khane Kutzwell. 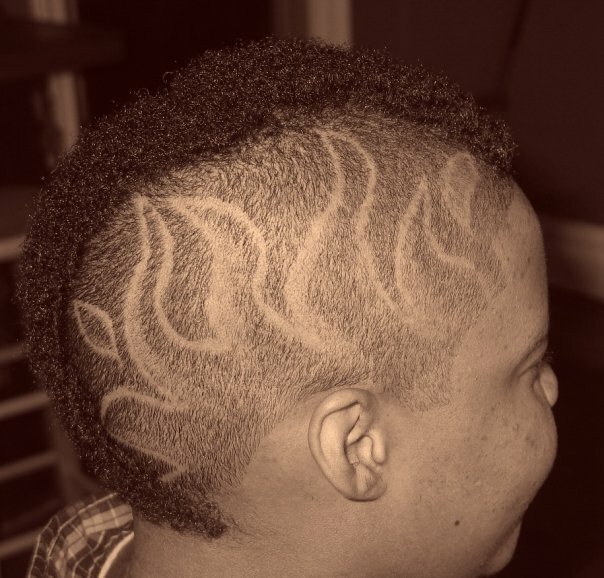 I saw some of Khane’s haircut photos on Facebook, and I was so impressed. 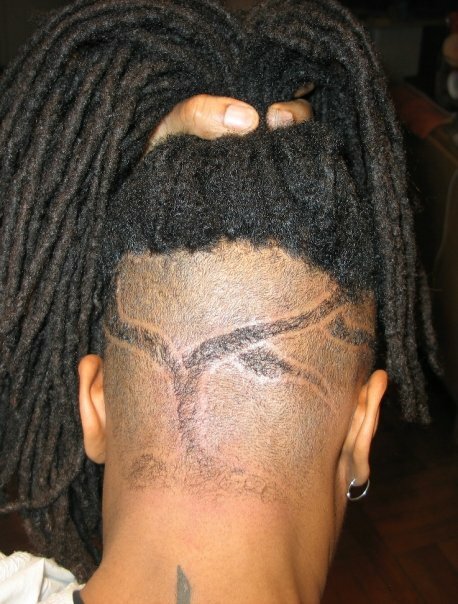 I love when people take their natural hairstyles and make them more creative. Khane helps to create these innovative looks. I’ve been a barber for three years in November of this year. 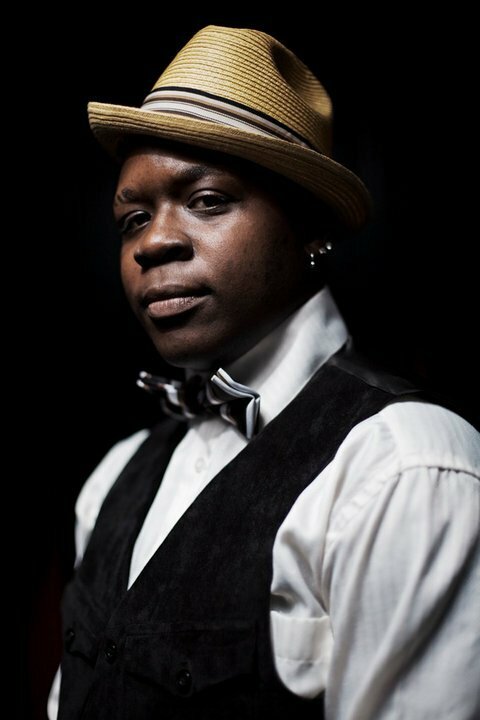 I’m still considered a “baby” in the barber world, but the older kats respect my style and that makes me feel great. 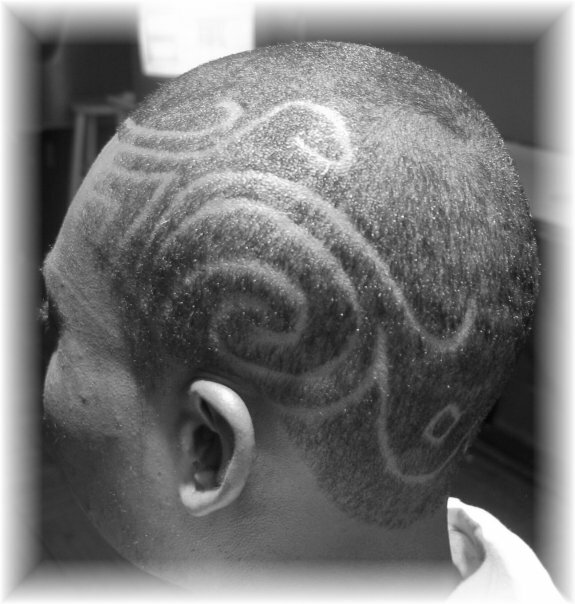 I’ve been doing designs for the same amount of time that I’ve been barbering. My style continues to grow and develop. I can definitely see a difference from when I first started. I get my inspiration for designs from the person I’m kutting. If they don’t have an idea of what they want I usually just go by what their aura is telling me. 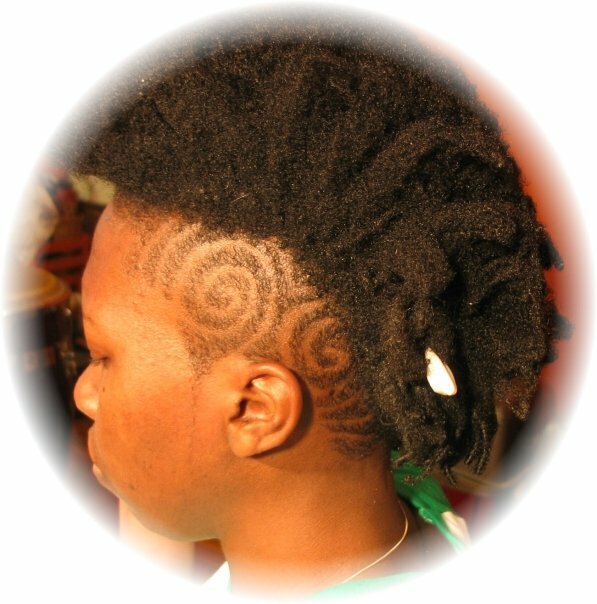 As for my inspiration to kut hair…it started with being distraught about the stories I heard from my friends about their experiences in barbershops. 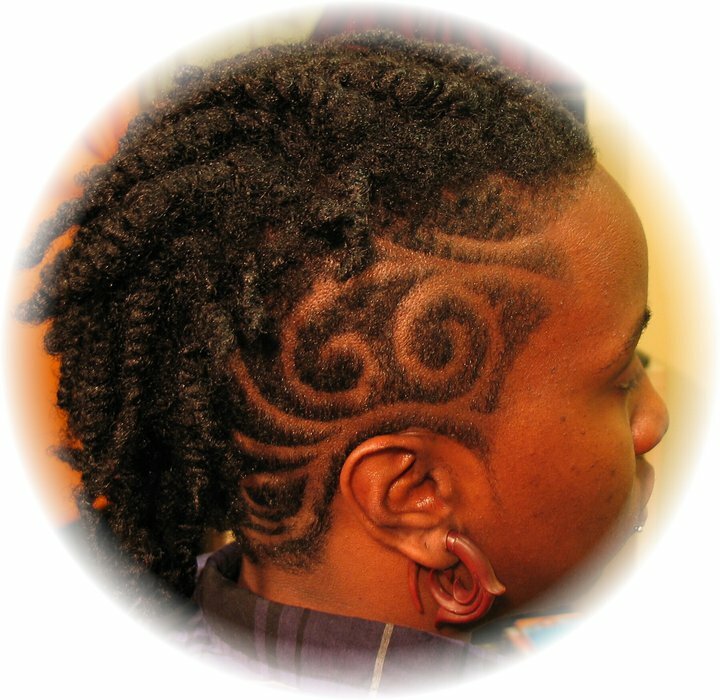 Most of my friends, as well as myself, are queer and represent all sorts of gender expressions and when they go to barber shops they are questioned about their choice of hairkut. The barber does what he feels they should have. They have to deal with disrespectful comments directed at them and usually have to endure hearing anti-gay conversations. 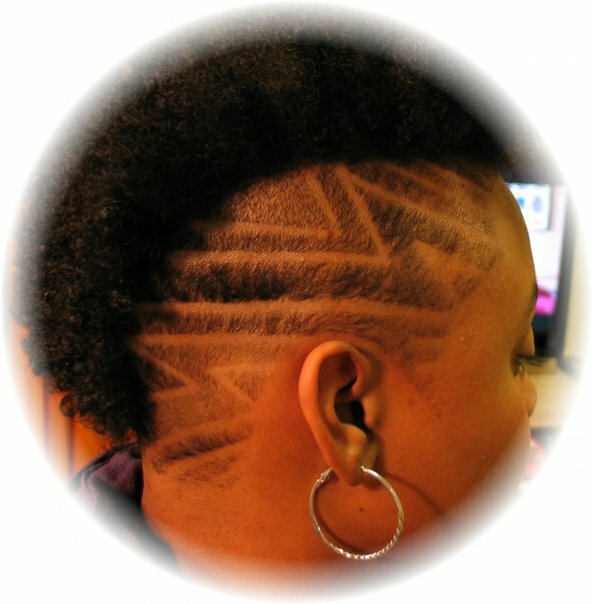 So I wanted to create a space where a person can come get a kut and not worry about any of those things and have the classic barber shop experience with a queer twist lol. 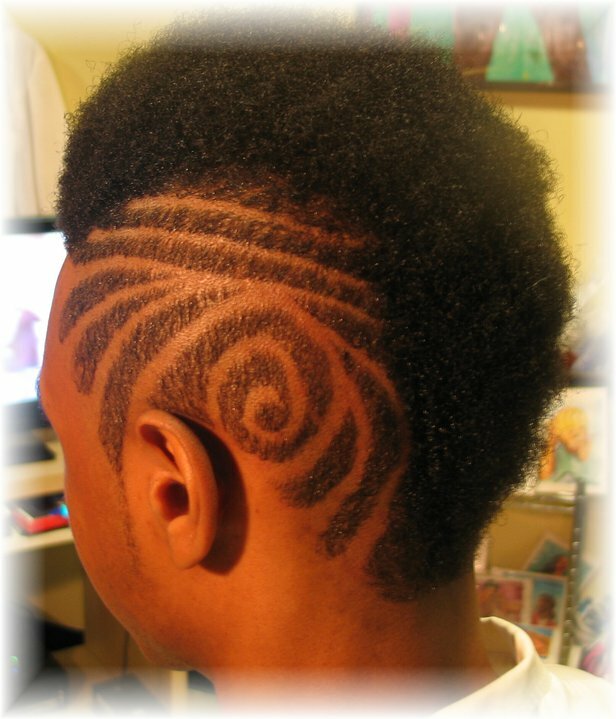 Most of my hairkut pics are on FaceBook (Khane Kutzwell). I’m currently working on a web site (ShugaKhane.com). 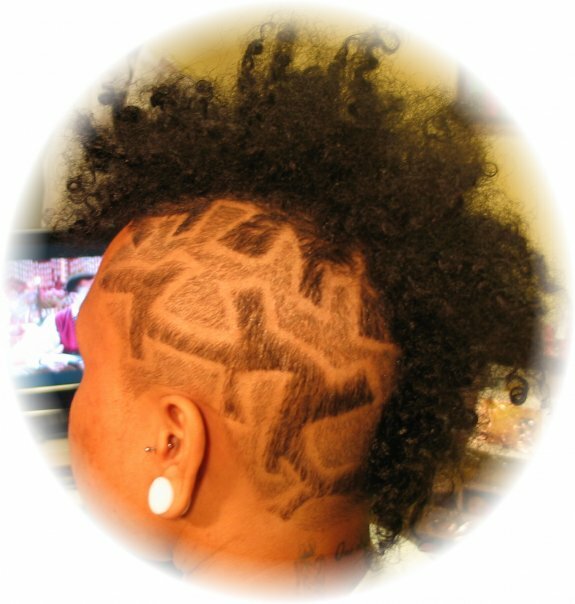 If anyone wants to make an appointment they can call 888.KHANE.79 (888.54263.79). 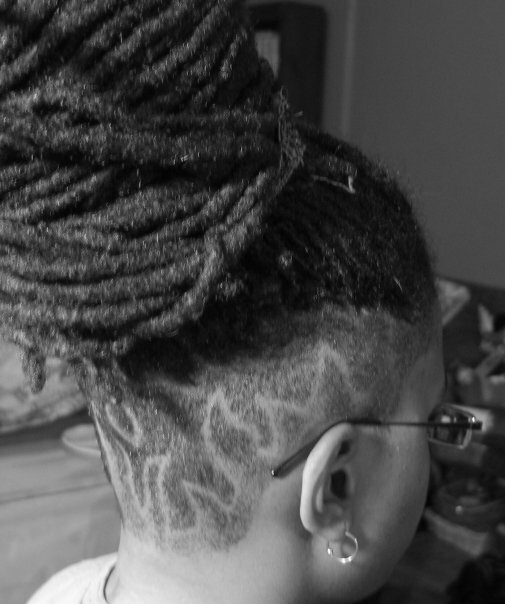 I share a space with a friend of mine who is a tattoo artist (Brandy Scott-who can also be found on FaceBook) Tuff Gurl Tattoo Studio: 255 Malcolm X blvd between Macon and Halsey streets. Right now I work by appointments. Wash your hair with a shampoo that stimulates your scalp, and keep it moisturized with a light hair grease or conditioner. Drinking lots of water and keeping your scalp clean helps to keep your face clear. damn i need to make an appiontment, my kinda vibe. That is true talent. Keep it up.